The Holiday season is upon us, and it is time to celebrate, be festive, and give and receive, which means – a lot of shopping. The way we shop has drastically changed over the last few years, with ecommerce becoming one of the major avenues for consumers during the holiday season. If you’re an ecommerce business, or a business that sells products or services and have an online presence – having a marketing strategy that integrates holiday benefits for shopping can be a wonderful way to entice and motivate consumers to buy from you. Promoting products or services during the holiday season is a popular, well-used tactic, so why not send holiday-themed announcement emails? These emails can be used to let your target audience know about holiday sales, events, reminders, or information on a new product or service. 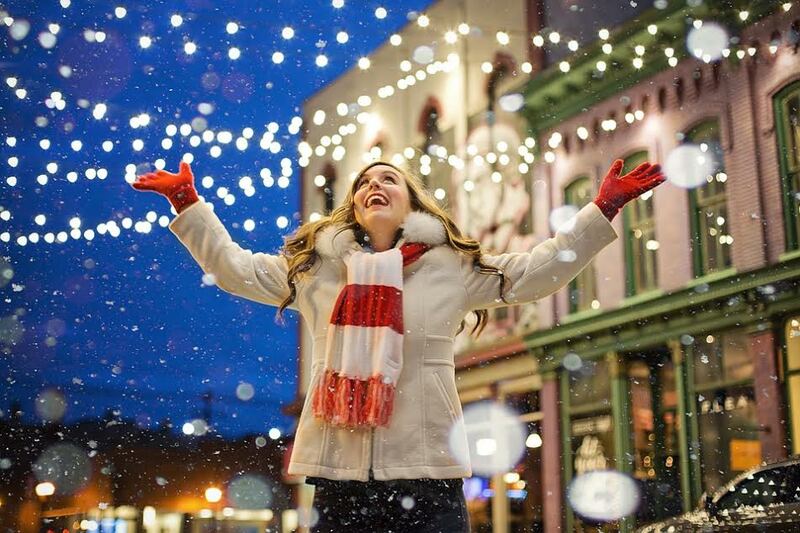 Set up your holiday campaign with success! Offer to match any donations made to a charity that is well-known or recognizable in your industry. Instead of another box of cookies or chocolate, send a card with this offer – it will demonstrate your commitment to your community and the spirit of the season, while also bringing your business in front of consumers. Highlight the benefits of working remotely, as this is the perfect time to promote and celebrate not having to be stuck at the office and in traffic and being able to customize your own hours during the holiday season. This holiday marketing campaign will speak to everyone who wants more freedom, and can inspire many people to take a deeper look at the world of working remotely. Launch a new product or service before the holidays. If you have a product or service that’s brand new – promote it as “the perfect gift”. You can also create a sense of urgency by featuring it as a “limited edition”, with only a limited quantity available. Share your employee’s fun holiday stories on social media – it’s a great way to make the holidays personalized and make you more relatable to your customers. Encourage each team member to get creative and tell an anecdote or story about the holidays and what they mean to them, it will personalize your company and bring your employees closer. Positive and emotional messages of the holiday season are loved by everyone and can easily be woven into your marketing outreach. They can be about family, helping others, giving, celebrating what we have, and reflecting on the year that has just gone by – especially through stories of positive situations and families overcoming struggles and spending the season together. Most of us are very receptive and happy to receive tips on how to improve our business and marketing at the beginning of the year. We love New Year’s Resolutions and love sharing a broad array of tips to our clients. Since we are in the digital marketing industry, many of our tips are specific, such as a new search engine marketing tip of the week, and we also love to include downloadable resources. Towards the end of December, it’s not about productivity and efficiency nearly as much any more – it’s about joy and cheer! So give your clients what they want – host parties, networking and holiday mingling events for existing and potential clients, and make them memorable. So find a way to market yourself, and not your products. Consumers will have an opportunity to see you as someone who knows how to have fun, and begin to see you as a personal contact and not just a business one – and that increases conversion. We invite you to check out our portfolio and learn more about RODA marketing, and our local Internet marketing and nationwide solutions delivered with quality, experience, and passion.